Sarah is very attractive, you'll love her, said Helen as she wrote down Sarah's name and phone number for me to call later. Helen was my personal assistant at work, she knew that neither her sister nor I were involved with anyone, we were both interested in meeting new people. The crowd hissed and booed loudly, they were evidently familiar with what was happening and were not at all shy to show their displeasure. It was my first bull-fight, and the only one I've ever seen. We were on holiday in the Iberian peninsula and, being curious about the experience, had gone to a bull-fight to see what it was like. The line to get in was long, it was a very hot day and the majority of spectators, along with us, were baking in the sun. In the first few fights, the bull came charging into the arena, and frantically chased the picadores on horses and the matador. Waving his red cape, he adroitly avoided the bull, and the toreros tormented it by sticking sharp barbs (banderillas) into its shoulders and flanks. The fight was over when the bull was exhausted and gave up pursuing them around the ring. It was amazing to watch. One very nervous student of such dangerous life strategies even earned his stripes by demonstrating he was the master of the exhausted bull. 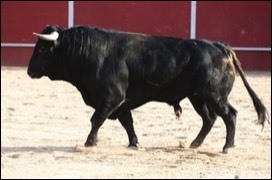 At the end of the bullfight, when the bull had given up chasing the cape, he stood right in front of the dog-tired animal, and defied it by holding its horns. The Wall Street Journal reports 18 random mass shootings in the decade of the 1980s, more - 54 in the 1990s, and still more - 87 random mass shootings in the 2000s. In 2012 the Washington Post lists as many as 14 cases of mass shootings - and that's in just one year rather than a whole decade! This depressing increase suggests that there's something seriously wrong with the current US strategies. Are the changes to mental health laws implemented after the 1975 movie "One Flew Over the Cuckoo’s Nest” making the big improvements America was promised? Have the more stringent gun control laws had the desired effect? After the State of Colorado passed a concealed carry law in 2003, the University of Colorado decided to deny their students' constitutional right to defend themselves while Colorado State University allowed their students to carry a concealed firearm. Which of the two was dramatically more successful in reducing crime on campus? "Oh, bother!" said I. Actually, those aren't quite the exact words I used. The car was in the ditch, and I had driven it there. Deliberately! My girlfriend Judith and I were on holiday. We were staying in a beautiful resort up country, and had gone for a drive to enjoy the scenery. It was the Canadian winter and there was fresh snow everywhere. We were chatting happily and got to discussing how deceiving appearances can be. 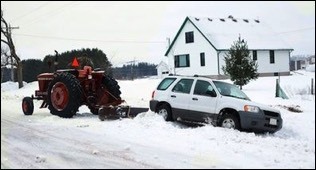 "For example," she said, "the side of the road looks so solid with its covering of snow, yet there's a ditch between the road and the fence." "Really?" said I, keen to self sabotage by disbelieving the evidence of my eyes. "Are you sure, or are you joking with me?" Avoid the many lessons I needed to learn - they were painful! Progress in life depends on many things, but perhaps most important is clarity and your life strategies to achieve your goals. Does the end justify the means? No matter your goal, what experiences do you want along the way? Since all actions have consequences you want to avoid doing anything which only results in pain and suffering. The path you take will be similar to the one taken by others with similar goals. But how viable are their life strategies? Will they change your life? Will the law of unintended consequences rear its ugly head and make the promises of their path unobtainable? Clarity here is essential, since the price must always be paid, and you will pay the price of failure. This quotation blew me away when I first saw it some thirty years ago. I remember realizing how vital its meaning is for me. Yet it would still have been just as valid if I had not let its joyful message improve my life strategies. As a brand-new personal growth student, it told me how to change my life: stop doing what doesn't work and find out how to create a strategy that does! Discover how to appreciate both the journey and the goal. 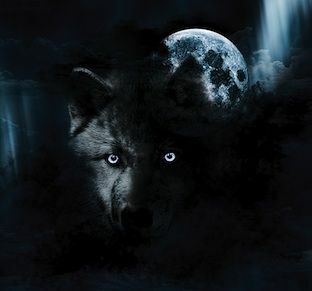 It said I should urgently learn how to overcome my self sabotage mechanism - the black wolf. It still means the same to me today. Why continue doing the same old stuff when you know it's not working for you? If you're not entirely satisfied with where you're at right now, are you listening to the message? The secret of success is to see that your life is giving you valuable feedback, so find out what it's telling you - and learn how to do what does work instead. It was amazing at how calm I felt on the Cape Talk show, AM 567. I had just announced to the whole of the radio audience why I used to be so embarrassed - the shame I had felt when I needed to tell someone! For so many years, I hadn't wanted anyone to know what had actually happened and why my intense suffering had continued for so long. Life is just the way it is: often stressful. Yet you have your perspective on life - your context - which tells you reality has got things wrong, life should not be stressful. So a perceptive way to look at stress is to see it as the tension between reality - what actually is true - and what your beliefs tell you should be true, but is not. There are four stages to learning anything, some people find learning something new to change your life as enormously stressful. 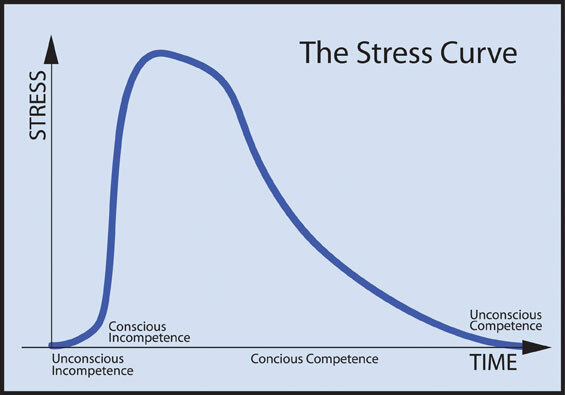 At first you're unconsciously incompetent, when you were five you didn't even realize that you didn't know how to drive an automobile, and so your stress about learning to drive was zero. Find out more about the causes of stress and how to reduce it. Lao Tzu, Confucian philosopher, circa 604 BCE, author of the Chinese Classic "Tao-Te Ching."